Dr Ho Siew Hong was invited to deliver three lectures on common urological problems that are encountered in the daily practice of family physicians. The main emphasis of these lectures were on the 'practical approach'. Family physicians from the Healthway and Silver Cross attended this Continous Medical Education program which was held on 23 August 08 at Vivo City. Discussion topics include approaches to microscopic hematuria, erectile dysfunction and elevated serum Prostate Specific Antigen. 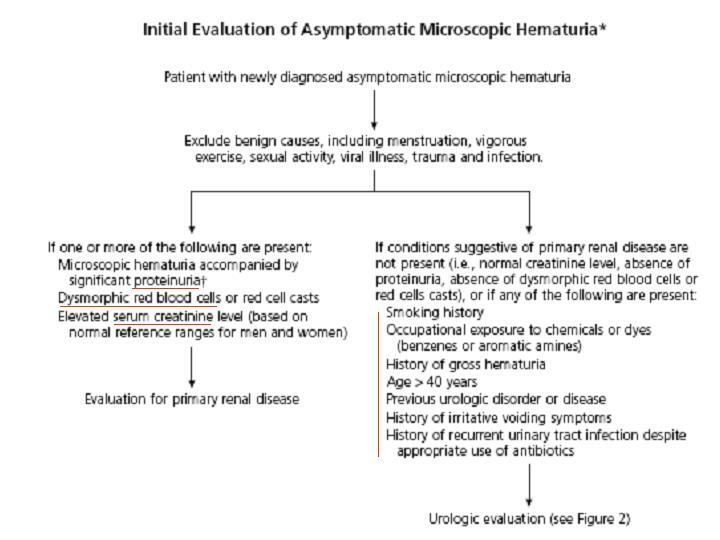 Asymptomatic microscopic hematuria is a common observation in the family doctor's practice. Microscopic hematuria is defined as 2 well collected urine samples with more than 3 red blood cells per high power field. 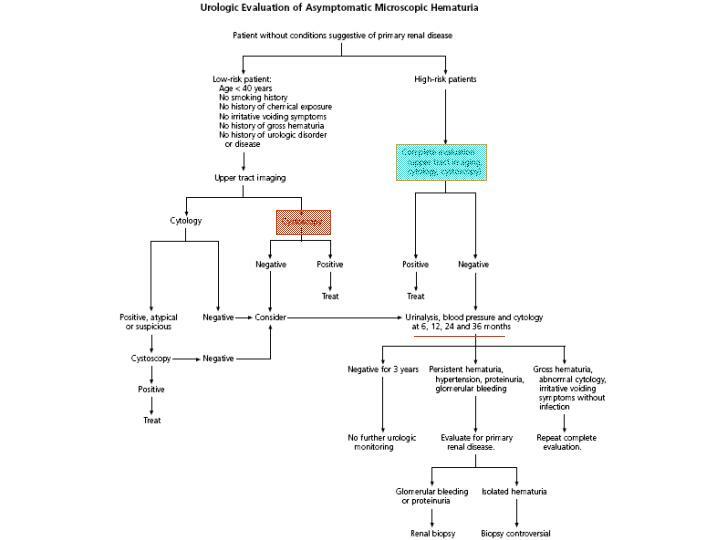 Management of microscopic hematuria is summarized in the following 2 charts. The management of Erectile Dysfunction is shifting from the specialists to family physicians. PDE 5 inhibitors are the first line of treatment and is effective in upto 80% of patients. The family physician should also be aware of associated medical conditions such as hypertension, diabetes and coronary artery diseases in patients presenting with erectile dysfunction. A significant number of patients who do not respond to PDE 5 inhibitors may have late onset hypogonadism and would benefit from testosterone replacement therapy. Other options for management of refractory erectile dysfunction include intra-cavernosal injection, vacum pump and very infrequently, penile prosthesis. Prostate Specific Antigen (PSA) has revolutionized management of prostate cancer. Early detection and curative treatment for prostate cancer is possible with early cancer that is only detectable by PSA blood testing. Family physicians will be seeing more patients with elevated serum PSA due to better public awareness and an increasingly aging population. Prostate cancer is the fastest rising cancer in Singapore males. It is currently the fifth commenest cancer. Unfortunately, up to 50% of prostate cancer detected in Singapore is still in the advanced stage. All abnormal PSA should be evaluated. The urologist would perform a transrectal ultrasound and biopsy of the prostate to determine if the elevated PSA is due to a malignant or benign growth.